at Manor. Sales for available units range in price from $199,900 to over $259,900. Presidential Glen unit sizes range from 1342 to 2593 square feet. Presidential Glen is located in Austin's dynamic new northeast corridor. Conveniently located off of Hwy 290, this picturesque community rewards homeowners with exceptional quality of life offering residents beautiful affordable homes with spacious and modern floor plans. This amenity rich, family friendly setting offers a large family park, covered picnic pavilion, children's playground, walking trails, green belt areas and more, all conveniently located minutes from downtown Austin. As a resident, enjoy the community pool this summer with splash pad! If you're looking at new homes in the Austin area, you owe it to yourself to take a look at Presidential Glen where affordable living meets an exciting lifestyle. LGI Homes includes thousands of dollars worth of upgrades in each and every one of our new homes. Raised six-panel doors, brushed nickel hardware and fixtures, rounded corners, designer cabinets and vaulted ceilings are just a few of the features you'll find standard in our homes. 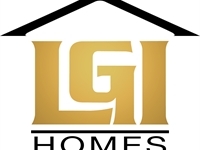 Call today to find out more about LGI Homes' quality, service and value, as well as our upgrade advantage. Your inquiry will be delivered to the Presidential Glen sales team, who will send you more information about this development.